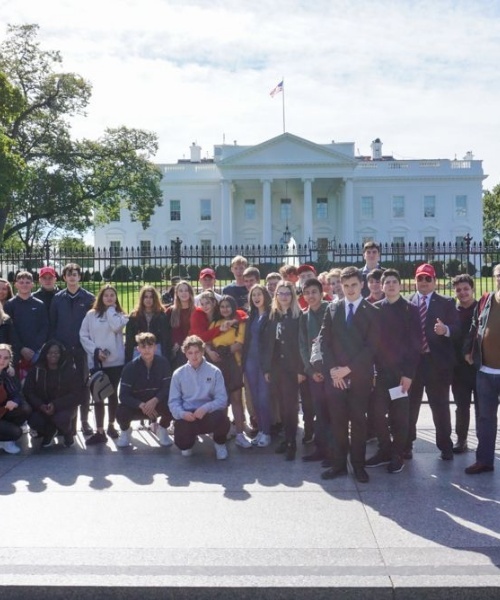 St Benedict's A Level Politics students spent a week in New York and Washington DC over half-term. Having arrived at New York JFK in the afternoon, American border control meant it was a considerable time later that we got a coach through New York to our hotel. In the evening, we walked across the road from our hotel and were straight into the famous Madison Square Garden arena to watch a New York Knicks vs Brooklyn Nets basketball friendly. The American sports experience was incredible, especially with such a close match and a last second half court shot in the second quarter to boast of. This was a fantastic way to start our trip in the USA! Our second day in New York was particularly captivating. 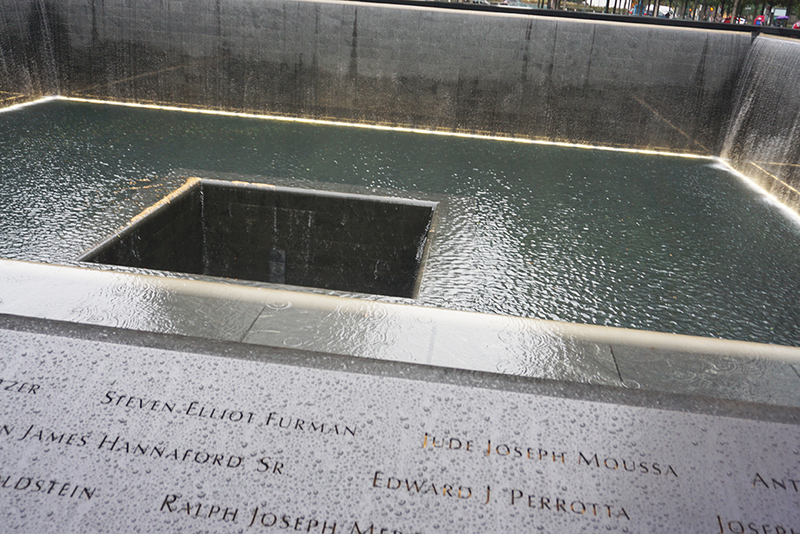 Our trip to the 9/11 Memorial and Museum was quite a harrowing experience; it is truly hard to put into words how moving the displays were. As we moved through the museum, each piece of art or audio recording was more shocking than the last. Looking at the colossal pieces of building debris and the masses of tribute artwork from the families who lost loved ones really put into perspective the colossal effect 9/11 had - not just to the USA, but the whole world. Afterwards, we went on a civil rights walking tour in Harlem. We were intrigued to learn in more detail about a subject we have only lightly touched on in our history lessons. 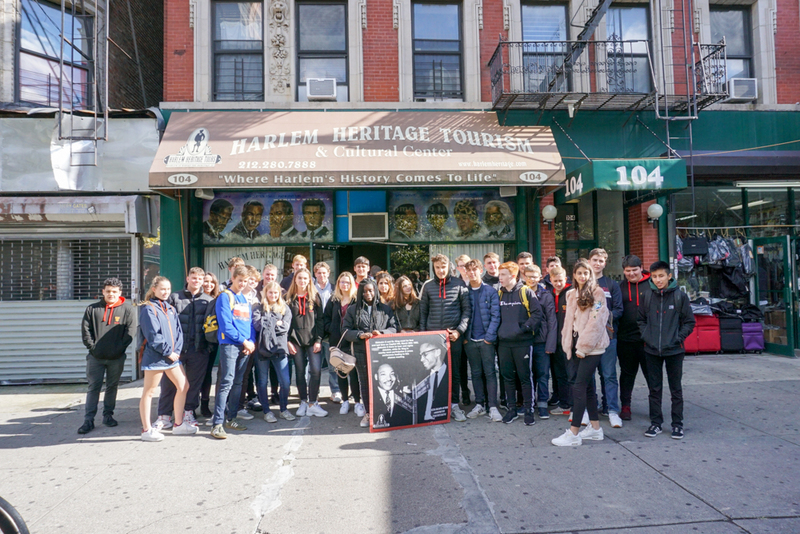 Our tour guide, Neal Shoemaker, gave us a real insight into what it was like to be born and raised in Harlem, and he even led us to the locations of famous speeches from the likes of Martin Luther King Jr, Malcolm X and Adam Clayton Powell Jr. Towards the end of the day, we visited the Empire State Building. The view from the 80th floor was beautiful – since we had gone in the evening, the sun was shining through the windows with a luscious golden glow. However, it was even more breath-taking once we moved up to the Observatory on the 86th floor. Here, there were no windows to shield the view. You can see other famous buildings such as the Chrysler building, or One World Trade Center. We left New York early, heading to Washington. On our way we stopped off in Philadelphia to visit Independence Hall where both the US Declaration of Independence and the US Constitution were debated and adopted. 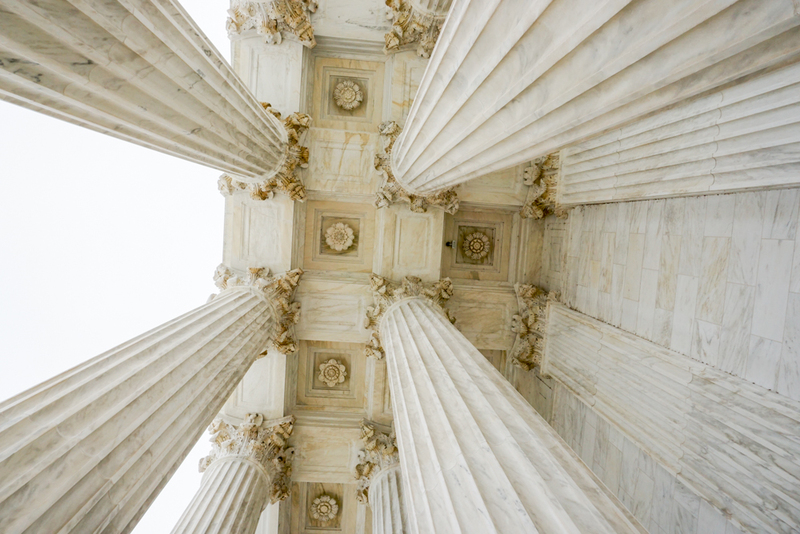 We also visited the original US Supreme Court which served as the home of the United States’ highest court between 1791-1800 and still retained many period features. 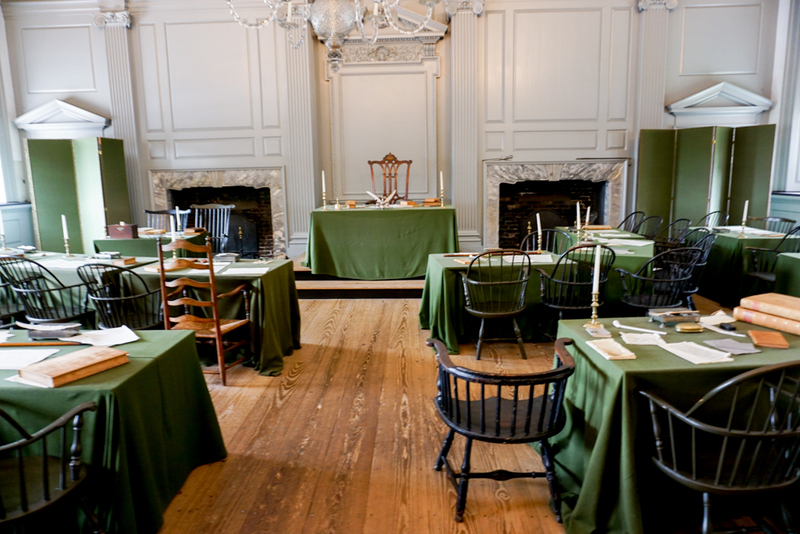 The Old Court was very small and intimate which made for an interesting comparison with the current Supreme Court we later looked at in Washington. We also enjoyed sampling the famous Sonny’s cheesesteaks and burgers which went down well! After arriving in Washington, we took part in a general knowledge quiz where we all submitted questions which stimulated many debates! This gave us all a chance to refine and improve our negotiation skills which we utilized over the following days. 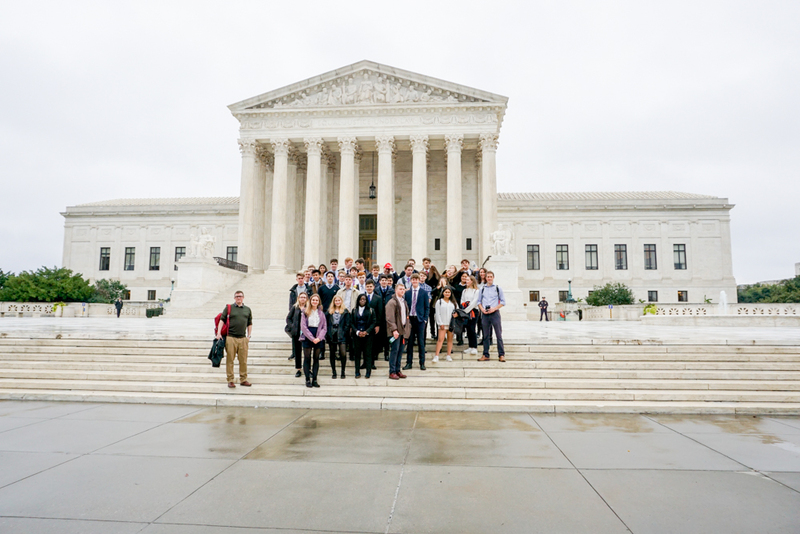 On our first full day in Washington DC, we began a very busy day with a visit to the Supreme Court where we listened to a lecture on the history and running of the court in the room where hearings take place. It was a fantastic opportunity to gain an insight into one of the most powerful courts in the world. After a lunch break in the Foggy Bottom area of D.C. (where Lucian Mac-Fall won an invigorating chess match against a local) we headed over to the State Department. This was a brilliant chance to ask questions to diplomats within the State Department, a chance not afforded to many. These discussions produced debates ranging from Brexit to climate change. 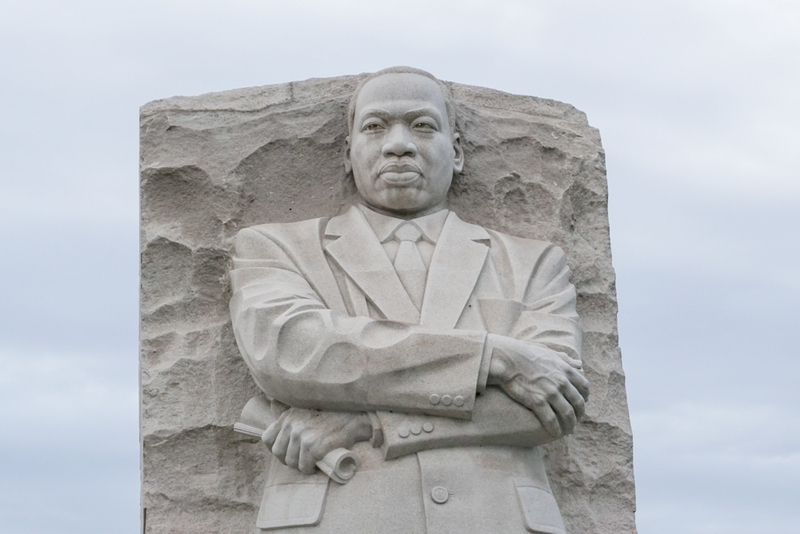 Following this, we spent the rest of the afternoon visiting the world-renowned memorials such as the Lincoln memorial, Martin Luther King memorial and Vietnam and Korean War memorials. 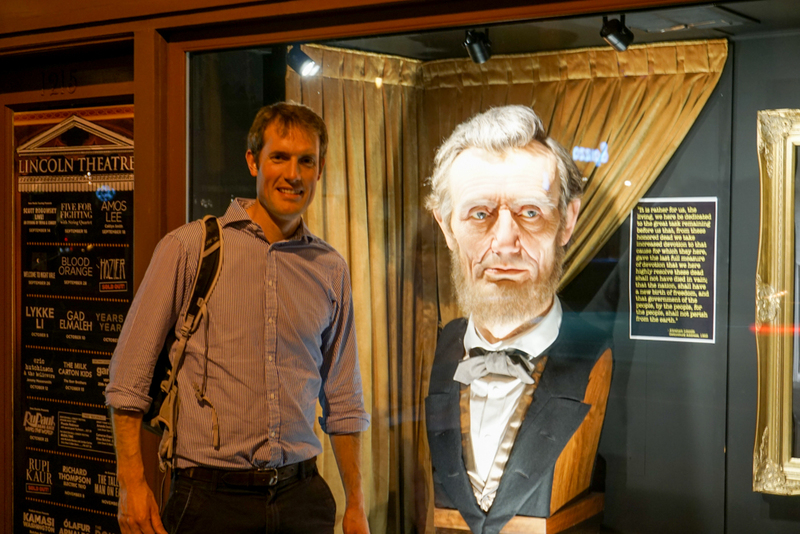 In the evening, a night time coach tour followed a visit to the famous Ben’s Chilli Bowl which has previously been visited by the likes of Barack Obama, Bruno Mars and Kevin Hart. 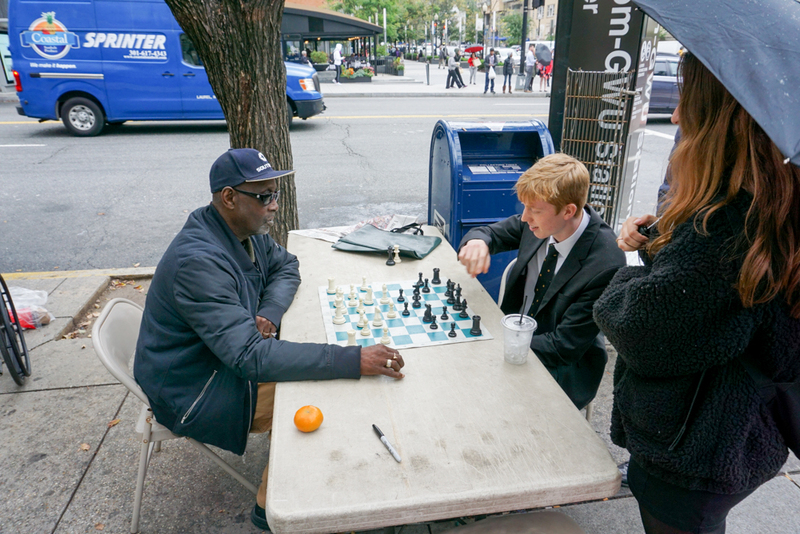 Lucian plays an impromptu chess match! Tuesday marked our second day in Washington D.C. After a buffet breakfast, we walked up to Capitol Hill for a tour of Congress. 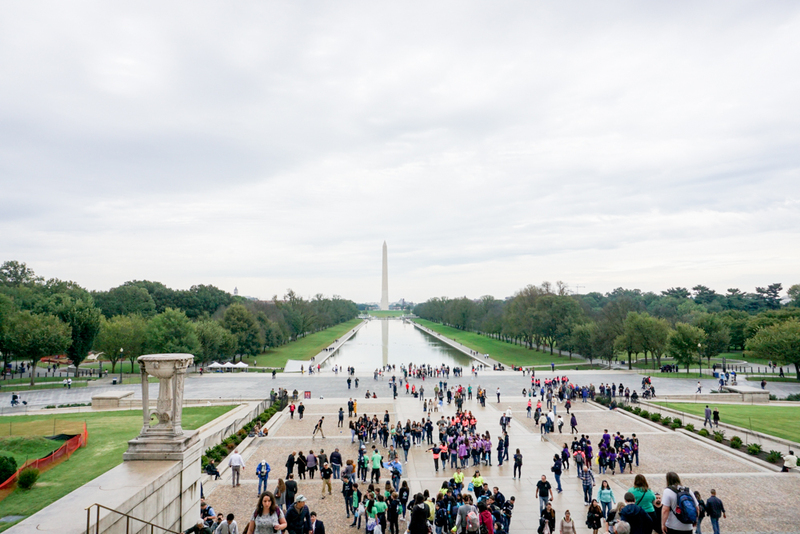 It began with an overly-dramatic, Americanised version of the history of US democracy in a short film, followed by an enlightening tour of Congress itself, complete with over 150 statues and a notable painting inside the dome of the building depicting George Washington as a god-like figure. We also visited both the House of Representatives and the Senate and looked round from the seated gallery. 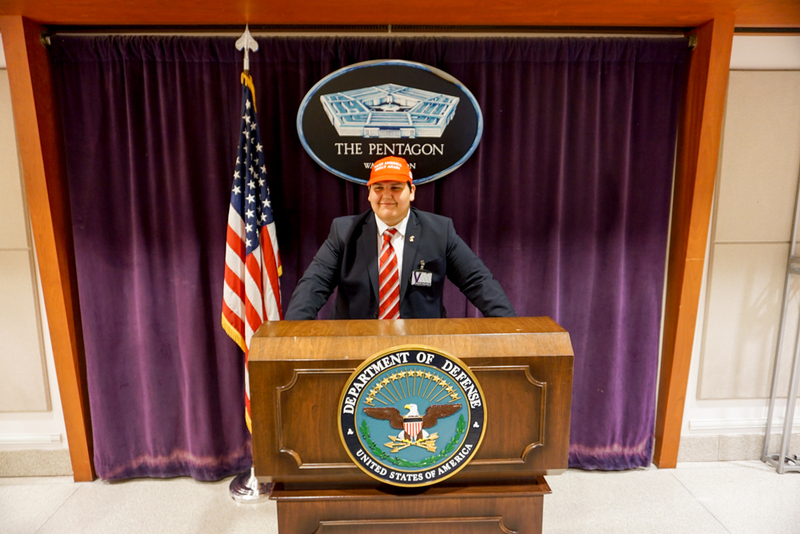 I and a few others then went for lunch at Chipotle in the grand Union Station before we re-joined the group to take the metro across the Potomac River to the home of the US Military, the Pentagon. Security here was tight, but once we were in, we were given a tour by a private in the US Army, who was dressed in full regalia. The tour gave us a perspective of not only the size of the building, with its endless corridors, but also how vast the Department of Defence is. 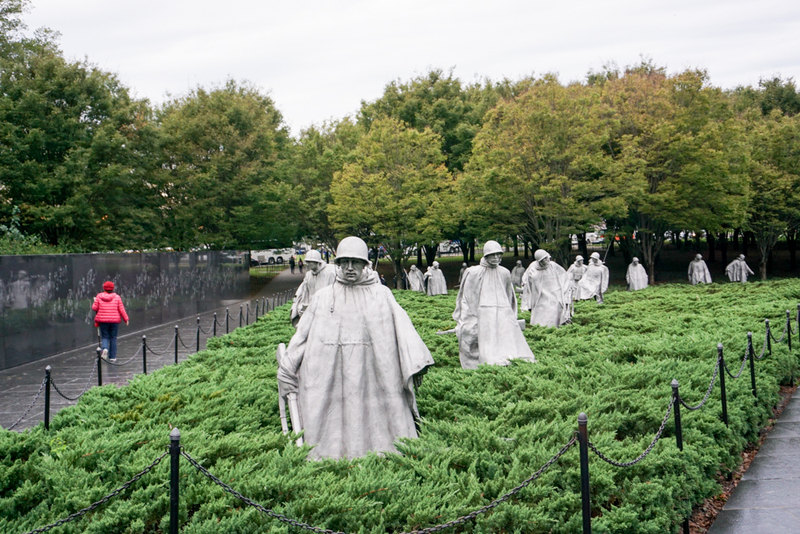 An aspect of this tour was the memorial to the September 11 attacks, in which a peaceful room was dedicated to the 125 Pentagon workers who died as well as the 59 who were on-board the plane. Once back in the city centre, we were given a couple of hours of free time. Some of us hired electric scooters; these were an enjoyable way to get around and a few of us rode around the monuments and the reflecting pool. Another typical American dinner of burger and chips followed at a diner called Harry’s before we all met back up at Ford’s Theatre, the theatre Lincoln was assassinated in, to watch a play called Born Yesterday. This was enjoyable and well performed and a nice way to finish our final full day in Washington. 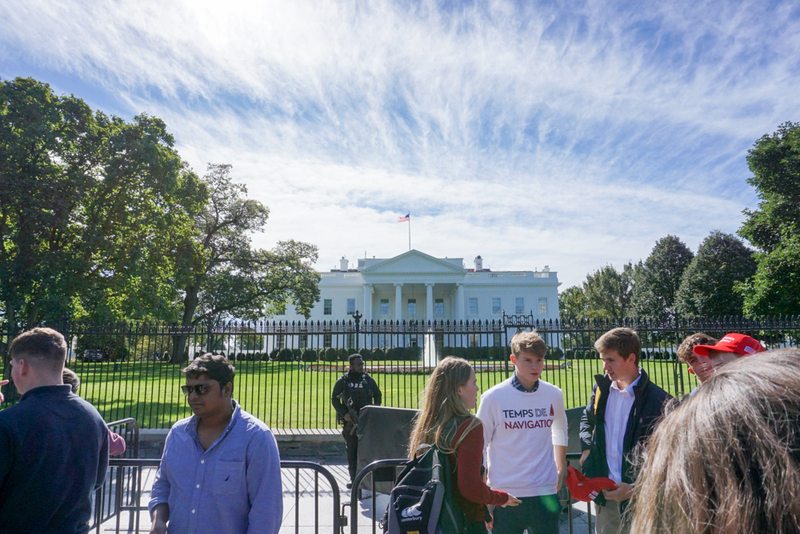 Our morning in Washington DC was spent interacting with the influential National Right to Life pressure group. Upon meeting our speaker, we quickly learned that the establishment not only focused on the Pro-Life movement and the fundamental rights of an unborn child, but also the aspect of life through other elements of society: the elderly, the displaced, military veterans, the injured and many more are advocated for by the group. It’s possible that the group is widely known for their stance on abortion, as well as the backlash they receive for it, thus eclipsing their various other achievements. 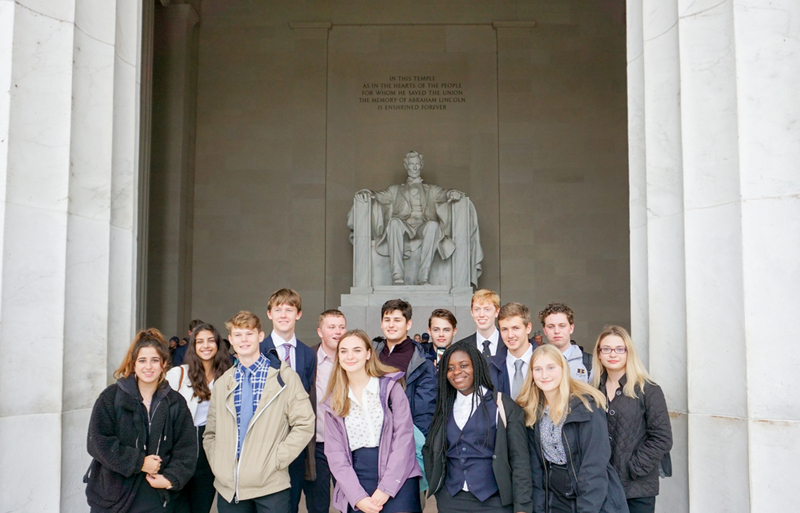 During the session we learnt about the role the group plays in the US political system such as their lobbying of members of Congress and during Supreme Court confirmation hearings. Overall, the meeting was riveting and highly thought-provoking and gave us something to think about as we returned home after a very long journey. 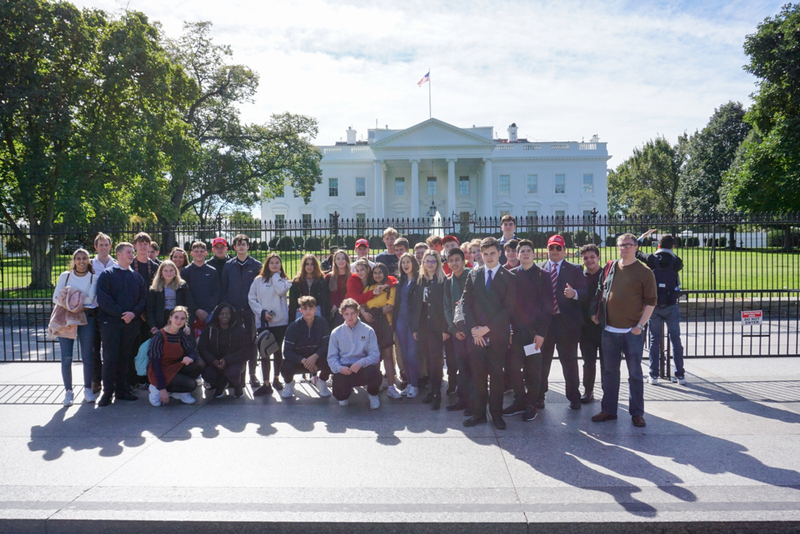 After a photo outside the White House we enjoyed a couple of hours of free time before heading to the airport for our night flight back to the UK.